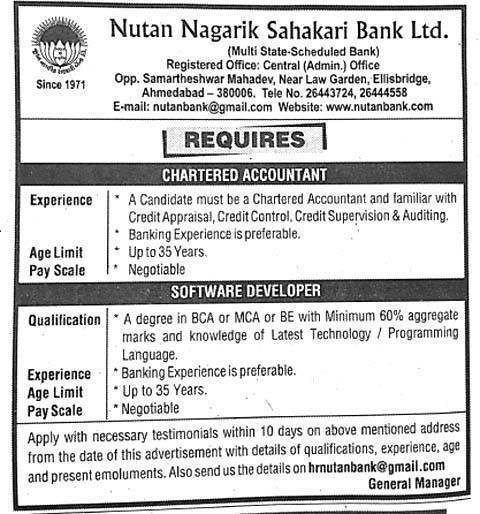 Nutan Nagrik Sahakari Bank Limited, Ahmedabad Published Recruitment Advertisement for Chartered Accountant and Software Developer Posts. Send Application to This Address : Central (Admin.) Office, Opp. Samartheshwar Mahadev, Near Law Garden, Ellis Bridge, Ahmedabad - 380006.